Anybody love the look of bulky entry sensors the size of a deck of cards taped to your door frame? Not so much? You ought to take a look at the Kumo Sensors from Cao Gadgets (on IFTTT as Wireless Tags). 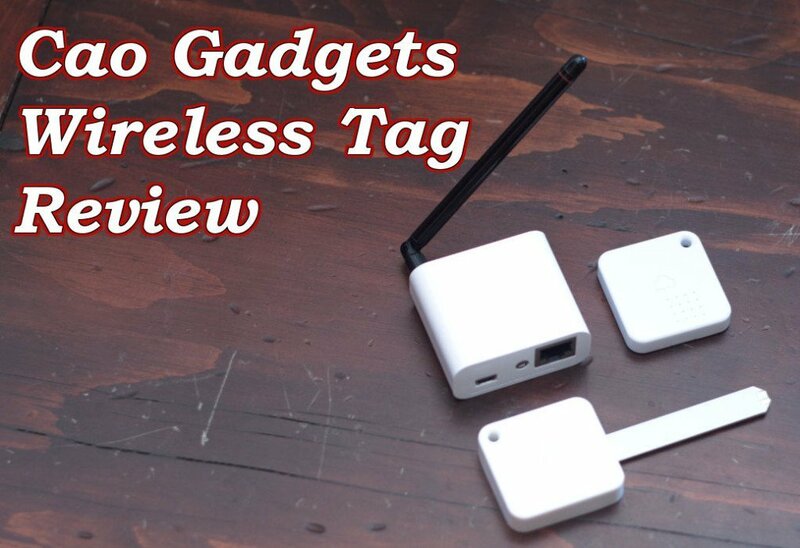 We spent some time with their latest sensors and Wireless Tag Manager to put together a thorough Cao Gadgets Wireless Sensor Tag review. Ready to pick one up? Let your friends know! Cao Gadgets now offers wireless tags to cover all of the typical home security system sensors and even some you may not find other places. Rather than using an existing home automation protocol like Zigbee or Z-Wave, they use a proprietary protocol on the built-in radios to minimize cost and overhead. The result is a small and well-priced multi-sensor. But, you will need a hub to go with them, the Wireless Tag Manager. The downside is, of course, you won’t be able to use competing sensors. An affordable entry point at $147 for 2 Wireless Tags, 1 motion sensor, and the hub. You might have noticed from the programming options, the Cao Gadgets Wireless Tags are ideal for security conscious, technically apt DIYers who want the flexibility to customize a solution that works for them. We won’t make the decision between professional and DIY monitoring for you. But if you want to understand what you’re getting with a monitored alarm system, check out this article on the typical alarm reporting process to understand what you’re buying and what could still go wrong. And, all tags can be used to detect presence (if they’re in the network or not). You can also use the onboard buzzer to locate your keys if you like. The hub that talks to the sensors is a discrete affair that will be pretty easy to hide. The only limitation is that you need an Ethernet cable to connect it to your network. The range of the battery life estimates may leave you scratching your head. The bottom line is that you can turn down the responsiveness of the tags and greatly reduce the power consumed by them, thereby extending the battery life. Or, you can leave them cranked up for maximum performance and change the batteries all the time. The choice is yours. And, that’s what these wireless sensors are all about. The sensors also offer some pretty unique features, like having a 3D magnetometer built in that will let you measure tilt and twist. Throw these on a door or a garage door, and they’ll send alerts no matter which way they’re installed. We already mentioned they’re tiny, packing humidity, temperature, and a buzzer into a small package. 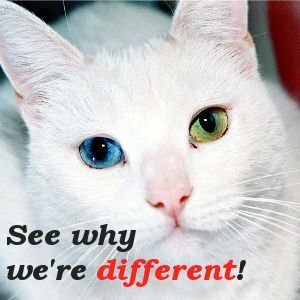 But if you can’t do what you need with these, you could always jump over to our security system sensor comparison to see what other manufacturers offer. If you don’t know about IFTTT yet, it’s a service that lets you connect all kinds of software and devices from your smart phone to your Facebook account. So, you can do anything from turning the air on when you get home to turning the lights on when you get home at night. Sound good? Head over and check out other great home automation ideas if you’re short on inspiration. The installation of the Wireless Tags is pretty standard for a hub-dependent device. Plug in and register the hub to your account. Pull out the tab for the battery or insert the battery for the sensor to put it in inclusion mode. Associate the sensor to the hub. We did have to try to associate a few tags several times before getting a connection, but all-in-all it was pretty painless. As far as placement, the Cao Gadgets sensors are small enough that double sided tape is more than adequate, though the larger reed and motion sensors can be mounted with screws as well. Just stick them at the corner of the door or windows that you want to monitor, and you’re ready to go. The only difference from any other DIY system you’ll get is the motion sensor doesn’t have a bracket with a downward tilt to facilitate mounting near the ceiling and covering the area immediately below the sensor. As long as you use it in rooms or longer hallways, you shouldn’t have a problem picking up movement. But you may have to figure out another mounting scheme if you want to aim it down your stairs, for instance. 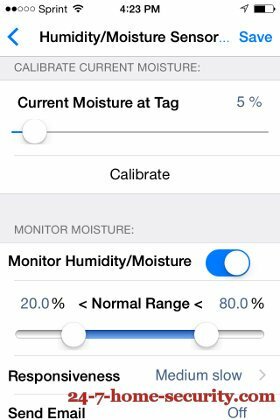 It’s a bit confusing, but the Kumostat (iOS) or MyTagList (Android) app is what you’ll use to monitor and control your Wireless Sensor Tags. The Android app is essentially just a web interface that adds notifications, and the UI requires some scrolling around to see everything in places. The Android app/web interface had some display sizing issues that required scrolling around on some screens. We’ve already said that the app can be overwhelming at first. It’s clearly an app built by engineers, where the ability to tweak and customize is prioritized over simplicity and aesthetics. Of course, your answer depends on your personality and background. As an engineer, I appreciate the level of control the user has over the Wireless Tags and the ability to fine tune sensitivity. But, I also understand that it can be tough to figure out how to do certain things at first. So, if you’re less analytical and just want something that is simple and pretty, then the app won’t be your favorite. Thankfully, the web interface is pretty straightforward. Non-scientists may feel drowsy when attempting to read the following section. You’ve been warned. Click to expand. You can configure different “receiver bandwidth” of your Tag Manager. If you choose a narrower bandwidth, more noise will be filtered, resulting in longer wireless range, if the tag’s transmission frequency is accurate enough to be within the receiver bandwidth. When tag manager senses the error in a tag’s transmission frequency to be larger than the configured receiver bandwidth, it displays “Calibrate” button on the Web interface. When this button is clicked, tag manager updates the tag’s flash memory to correct the frequency drift. It then pings the tag, and if there is no more frequency drift, the “Calibrate Radio” button goes away. When you choose a narrower bandwidth from the drop-down, “Calibrate Radio” button will be displayed more often. Tag’s transmission frequency error is most often caused by temperature change. 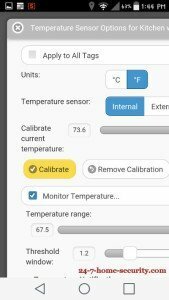 After you place a tag in an environment with very different temperature than when you last received transmission from the tag, “Calibrate Radio” button will often be displayed. To relocate the tag from one environment to another with very different temperature, you need to first set tag manager’s receiver bandwidth to “widest (most robust)”, then wait till the tag’s temperature stabilized, and make sure you receive a few transmissions (sent at the auto-update interval) from the tag. Then change the bandwidth to narrower settings to improve the radio range/performance. At this time the Calibrate button will likely appear, so click it to calibrate the radio. OK, so as an engineer specializing in this area, this makes complete sense to me. As a business major, you’re saying “What did I get myself into?”. To clarify, this is a nice feature that can be used to extend the range of the sensors if it’s needed. It’s the type of thing that you would play with in prototype software. BUT, it’s also the kind of thing that should be completely automated in polished software so that the average user (that doesn’t want to deal with it) doesn’t have to. The geeks out there will love it. The rest will not. And that doesn’t even consider what you can do with custom apps (called KumoApps) or those published by others. Much like SmartThings supports apps developed by their users, you can do the same with the Cao Gadgets Wireless Tags. The KumoApps are housed and processed in the cloud and can be associated with any of your sensors. You can start with any of the apps written by the manufacturer or the apps that other users have published, or you can edit and add to them to create custom functionality. Arm motion sensors when all phones are away from home, disarm when any enters near home. to turn on the thermostat with doors or windows open. From there, you can get as complex as you’re capable, and you’ve always got examples to start from. If you aren’t capable, then you could do some of these with the IFTTT channel, but expect some delays getting commands through the IFTTT servers in addition to the normal ones. 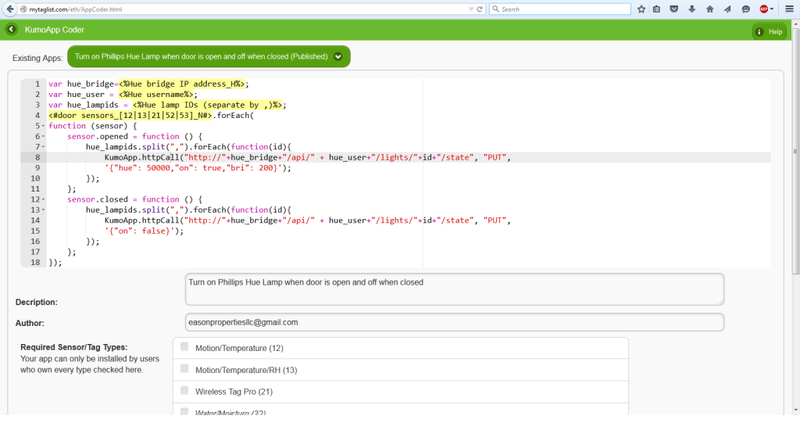 If you’ve already got an interface to an existing home automation system, then you can integrate custom views of your Wirless Sensor Tags too using the JSON API. How long exactly will the battery last? So, how long will the sensor’s battery last on the default settings? What if you adjust to low power receive and you can tolerate only logging temperature and humidity every hour? Is that more than you want to worry about when you pull the tags out and stick them around your house? Yep. Is it something that you’ll appreciate later when you don’t have to go around changing batteries? Definitely! Now, on to the most critical question, “Will the system help you secure your home?”. Here are a few thoughts you should consider. The Problem: If you have a delay set for notification of an opened door, a burglar can disconnect or damage the Tag Manager before the alarm goes off to prevent an alarm notification. You WILL still receive a notification about the lack of connectivity (think minutes, not seconds), but you won’t be able to check the state of your system or your camera to verify a crime in process. The risk is low with this unit, since there isn’t any audible beeping to alert a burglar to the location of the Ethernet Tag Manager. So, no workarounds are needed. If you regularly don’t have cell service, you may want a monitored system. If a notification comes 10 minutes after a break in, you’ve likely already lost your valuables and drastically missed your opportunity of the criminal being caught in the act. You’ll have to assess the likelihood of missing a notification versus your risk of burglary. This is not a completely independent system, so you are relying on the app and the Cao Gadgets services to be reliable. This is true for monitored and DIY alarm systems as well. But, UL listed monitoring services are certified to a particular standard of availability and process while DIY systems are not. Many people think freedom from monthly fees are worth it. We’ll leave that decision up to you. If you want to see what other systems have professional monitoring, use our alarm system comparison to quickly filter based on the type of monitoring available. Problem: There’s no alarm included with the system. Workaround: Buy a third party siren. There’s a strange lack of sirens that just plug into wall switches. If you could find one that was always on, you could just activated a WeMo switch from the app with the siren plugged in. Instead, you may have to buy a 12 VDC siren and power it from a power transformer. Then, use the WeMo switch to power the siren through the transformer. The Cao Gadgets Wireless Tags certainly increase your awareness of what’s going on at home when you’re away. You’ll be able to get emails, tweets, or notifications when a sensor goes off. The downside, of course, is that you may not be in a position to see and respond to those immediately. Even if you can, how do you know there is really an emergency? With these types of DIY systems, a wireless camera to confirm there is a crime in progress really comes in handy. A confirmed crime in progress generates a much higher priority response when you call the cops. Check out your options for home surveillance cameras on our camera comparison page. The costs for the Wireless Sensor Tags on their site or on Amazon are reasonable, and you’re free to order just what you need. Just want to check for water under your sinks and dishwasher? No problem! A basic kit with 2 door sensors and a motion sensor will set you back $150. That’s about as budget as it gets without a contract. You can compare here if you don’t believe me. One thing’s for sure, you’ll save major coin over professionally monitored systems. You’ll just have to decide if the risk of missing a call is acceptable. With integration to WeMo switches, Dropcam, Nest thermostats, and IFTTT, you can use these for home automation as well. The level of customization is high, and we found the reliability to be high as well during testing. But people that aren’t interested in the details may prefer polished systems like the Staples Connect, one of the best smart home hubs we’ve reviewed. We also recently covered the Amazon Echo and Wink integration in our Wink hub review. 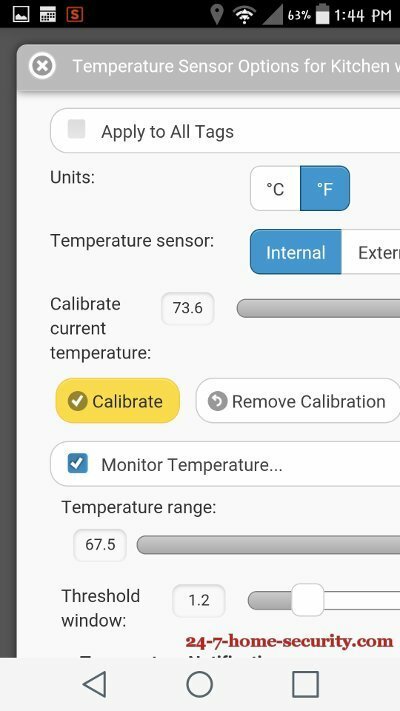 Note: We initially completed the Cao Gadgets Wireless Sensor Tag review on App version 2.8.10 (Android) and 2.4.12 (iOS). I bought the Wireless Sensor Tag Pro 2.0 with Accelerometer and the Ethernet Tag Manager. I linked my Wemo Switch and set it to turn on and off based on temperature thresholds. It all worked great except that it would only work if the app was left open and monitored or manually refreshed. I set the refresh frequency for 1 minute and also ensured that the app’s background refresh is on. I tested this for a few days but it refuses to update the temperature and trigger the switch till the app is opened and manually refreshed. Once I open the app after a certain period of time I can see how long it has been since my last refresh. I have screenshots from testing it and the longest I left it ‘idle’ before opening the app was 2 days and it hadn’t refreshed for that entire period. Once I open the app and the temperature reading refreshes, only then is the Switch triggered. I even tried setting it up with IFTTT to rule out any other issues but I got the same results. The App will not refresh and monitor my location or the temperature till I open it. Once opened it will update and the counter resets – but does not update till I do this. I tried contacting their customer support a week ago, and received a response stating someone would come back within 24h (perhaps automated) but I received no update since then (despite following up 4 times so far). So this is just a $80+ couple of boxes sitting around depleting battery and the support is unresponsive. I don’t recommend this to anyone, nor will I ever back anything they put up on Kick Starter. That’s an integration that I didn’t test out, so it’s hard to say what’s going on there. They do seem like a pretty small shop, so there may be a backlog or a problem with their customer service system. Have you tried reaching out on Twitter (https://twitter.com/caogadgets)? Please keep calling our toll free number 1-(866) 824-9684 (listed under wirelesstag.net/about.html) if you need urgent support and we will help you during 9AM-5PM Pacific Time Monday-Friday. Initially I was a big fan of these and could accept the shortcomings. As I used them I developed problems with sensors just failing, etc. I can across the google groups support forum and participated in there but noticed a lack of professionalism from Cao Gadgets on their often quite rude responses. Finally, after noticing many people not getting replies on their request for support or information, I made a post asking about the future of WST and what their plans were. I was banned from the forum with that comment deleted. I created another account and asked if the banning was an accident as my original post was not rude, just wondering what’s going on. That post was deleted and that account banned as well. In other words, if you plan on ANY support or professionalism, avoid these things. Thanks for stopping by and sharing your experiences Matt. It definitely sounds like better communication could have gone a long way in your case. I’m not sure how committed they were to support the Google group, but I know that they have recommended folks contact them via Twitter or email before. I do get the impression that they are a small operation and focus more effort on engineering than marketing and service. I’ve been using Wireless Sensor Tags since 2015 when I used several tags to setup a IFTTT-enabled Slack bot that would monitor the occupancy of my company’s bathroom stalls. It made it very easy to check at a glance whether the bathroom was available or occupied. I’ve been impressed with the features, range and battery life of the tags. These really are easy to setup and use. I found it to be a brilliant and it did as it said on the tin – excellent. I use wireless tags to get notified when my garage door opens and closes. I set up the system in an evening and all I had to do was to plug the tag manager to my router, register and add my wireless tags to the tag manager. Now I get a real-time notification on my phone whenever my garage door opens and closes. I’ve found this system to be powerful, reliable and highly customizable. Highly recommended! I have the Tags setup at my small Poultry Processing Facility and love them! I can quickly see the Temperature and Humidity of the Cool Room and check over 24+ Hours to see how the Cooling Equipment is handing the Hot Australian Days. Especially important, I have WEMO Smart plugs to turn on the ICE Machine and other equipment, using one of the tags in the ICE Machine, its easy to verify that everything started OK, i.e. temperature is dropping. If anything is out of place, then the decision can be made to call someone to check. Wish they had a WEMO like device, then I wouldn’t have to jump apps and glue things together, removing some of the IFTTT software glitches I get. Sounds like quite a setup! The only way to get away from IFTTT that I can think of right off is to get a local-only automation hub like the VeraPlus and issue posts to the API on the local network. That should be much faster and more robust once you get it working. I have been using the Tag Manager in connection with 5 Wireless Sensor Tags (Pro 2.0, 2048 point memory) for a little less than a year now and plan to buy more sensors. The small system works like a dream! It is very easy to set up (pretty much plug & play), very reliable and I really like that it can deliver data to IFTTT, which opens a world of opportunities for acting on the data. As our house has walls, floors and ceilings of reinforced concrete, it took a little bit of experimentation to define the location of the Tag Manager in order to get optimal signal contact to all the Wireless Sensor Tags. The range is clearly better than regular WLAN coverage. I think the interfaces on smartphones, tablets and laptops are great and consider it to be good value for money. I have written emails with questions in order to optimize my use (range, battery life, etc.) of the sensors and didn’t always get a fast response. Sometimes, a reminder was necessary. However, the replies were always helpful and gave me guidance to get answers to my questions. I can highly recommend the Wireless Sensor Tags and the Tag Manager to anyone, who would like to monitor temperature, humidity, light intensity, as well as movements in a home or auxiliary buildings. It is a great system and good value for money. Thumbs up for the Cao Gadgets / Wireless Tags Team! Very easy to setup. I have had no issues with connectivity. I have two sets of tags, one set for home and another at work. At home I have one taped to the supply duct on my heating/cooling unit so I can not only monitor the temp, but from the data can also tell when and for how long it runs. 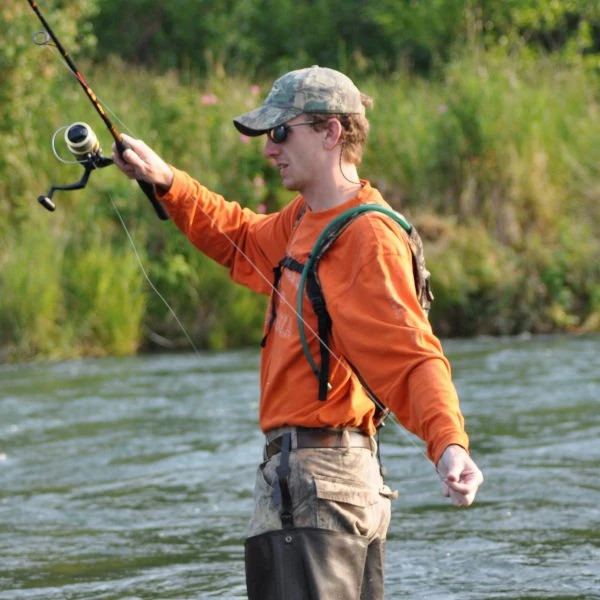 We work hard everyday to develop new and improve existing Wireless Sensor products. What we work even harder everyday, is to enhance our server software to improve reliability and performance, upgrade our cloud server hardware and storage, add new features and bug fixes in our iOS and Android apps, and develop new features like Alexa, IFTTT, Wemo integrations. All of these benefit, and are made available to all of our existing users since 2012 like you, free of charge. Just read our recent blog articles and server logs (another) to see what are being done. If you have a Google Profile with your true name, then we will match the name on the review from our existing customer database, and ship you a free Wireless Water/Moisture Sensor (short version) that is loaded with the latest firmware. If your Google Profile does not have the name on your order, then please write a positive comment here, the top Google search results for “wireless tag review”, and reply to this email with an existing order number or name on your order, so we can pull up your shipping address. If you write reviews at both places, we will send you two. We will pay the shipping cost for both USA and International (shipped using USPS First Class Pkg) and there is nothing you have to pay. This is the short version which we have limited stock of about 200 so it will be while supplies last. If you have trouble writing a review for us on Google Maps, please click here for official instructions from Google on how to write a Google Maps Business Review. I have used Wirelesstag for more than 6 months and I have nothing to complain about… It just works! Without any hazzle… Easy setup and a massive variety of services and app posibilities! I will push for this product over in Europe… This is fantastic! I have 4 wireless Temp tags 2 are the temp only models and 2 are the 13-bit temp sensors. I ordered them years ago after my freezer died and I lost a few hundred dollars worth of food. A few batteries later and they still work great. CAO also sent me plastic cases for my original Gen 1 tags for free when the released them. Great product and great company. Thanks for sharing your experience with them, Ben. I bought a total of 7 of their tags and tag manager. After roughly 45 days 3 of the 7 continue to work. Their support is a joke and customer service is non existent. I’ve filed a complaint with the BBB and I encourage others to do the same. I have tags at two locations separated by 325 miles. They are used for motion detection, temperature and humidity. Their range is extraordinary. Notifications on my iPhone occur within seconds. I use one of the tags to let me know when the postal mail is delivered. I seal the seam on that device with silicone. The tag has been exposed to the weather for two years! I have one in the crawl space beneath my house that measures temperature and humidity. These data are available for viewing in graph format from the software. My only complaint is the level of complexity in interfacing them with my ISYs. I love mine!